In 2010, Sandra Bullock was briefly my favorite person in the world. In the same weekend, she won and accepted the Golden Raspberry for Worst Actress (for All About Steve) and, for her role in The Blind Side, the Oscar for Best Actress. It was an astonishing act of humility; I doubt many in Hollywood would acknowledge so freely the unpredictability of artistic achievement. Bullock became, in that moment, a beacon of hope for all who see in their perceived failures the seeds of their future successes. Yes, she seemed to be saying, I did make All About Steve. But from the same well of emotion and experience that I drew on for that role came The Blind Side. If you try and fail, try again. Or, put another way: failure is not to try and fail, but to fail to try. 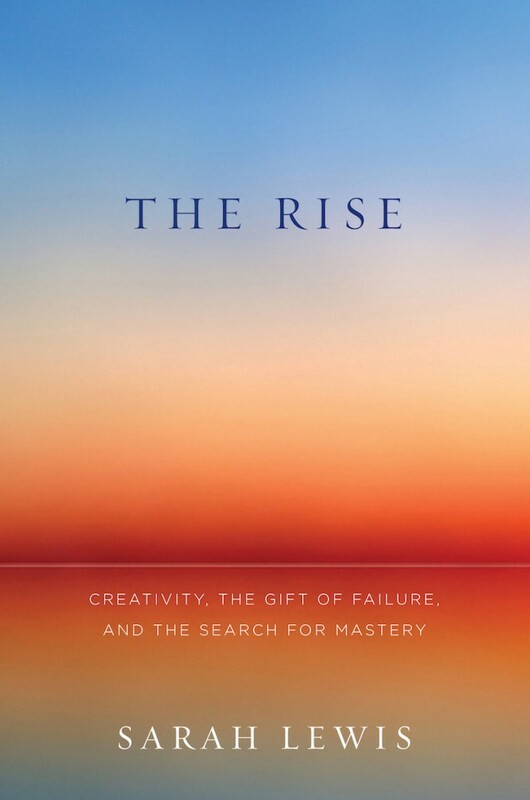 This is the message of Sarah Lewis’s inspiring book The Rise: Creativity, the Gift of Failure, and the Search for Mastery, which recasts failure as a useful and perhaps even essential step on the path to success, innovation, and mastery. Artists and scientists, explorers and athletes: they’re all in there, striving away, chasing the white whale, champions of what Lewis calls the “ever onward almost”. This isn’t self help; this is a new understanding of failure and success, a “biography of an idea that exists without a current definition”. Lewis quotes the poet and samurai Mizuta Masahide, who once wrote, “My barn having burned down / I can now see the moon”. The Rise effects a similar shift in perspective. It could just change the way you think. Ben Saunders, whom Lewis interviews in one of the book’s best chapters, plays on a field that’s both within and without. Saunders is, for want of a better word, an explorer, and the youngest person by ten years to reach the North Pole alone, on foot. His first and second expeditions failed; his third succeeded. At night, alone and farther north of the Arctic tree line than any native Inuit for miles and miles, he would write in his diary about how far he’d gone after checking his GPS; it was a ritual he looked forward to most. In the morning he would check again, and often found that he had floated away from his goal as he slept. As if by a cruel trick, the rest he needed to continue could erase the gains from the previous day. Lewis’s book is a miscellany in service of a bigger idea. Her grand tour takes in aesthetics, aikido, archery, Arctic exploration, mathematics, modern dance, physics, and much more. In all disciplines, she finds examples of how the idea of greatness and the striving for mastery propelled the towering figures of our history and culture to bigger and better things. But how can we learn from these people? Take Andre Geim, who’s sort of like the Sandra Bullock of physics. In 2000, he won the Ig Nobel Prize for his work on levitating a live frog with magnets. Ten years later, he won the Nobel Prize for his discovery of graphene, a two-dimensional material whose potential uses we’re only just beginning to understand. The discovery of graphene emerged from a so-called “Friday Night Experiment”, an unfunded goofing session run by his lab which allowed him to “live out the wisdom of the deliberate amateur”. In this concept we see one way in which we can enable failure to become a gateway to success. Play is a much undervalued concept in modern life, Lewis argues, despite the fact that “The research is becoming more and more clear about this counterintuitive fact: directed teaching is important, but learning that comes from play and spontaneous discovery is critical.” This is true in physics, as Geim understands, but it can be just as true elsewhere. In politics, for instance: it may sound like an Onion article, but Antanas Mockus, an academic twice elected mayor of Bogotá, replaced traffic cops with mimes and reduced traffic fatalities by fifty percent. We see play at work on the catwalk, too, and six months later we’re wearing what once made us frown. In a marvellous chapter on the choreographer Paul Taylor, Lewis concedes that “Innovative ideas … are often so counterintuitive that they can, at first, look like failure” — much like Taylor’s 7 New Dances in 1957, which prompted a famous blank review — but suggests we consider them instead as evolutionary phases. A shift in perspective can achieve wonders. “Kids, you tried your best and you failed miserably. The lesson is, never try.” So advised Homer Simpson — who’s usually spot on, but might be able to learn a thing or two from Sarah Lewis’s splendid work, whose sum is a sort of poetics of failure and success, and whose conclusion is that they’re not such strange bedfellows after all. 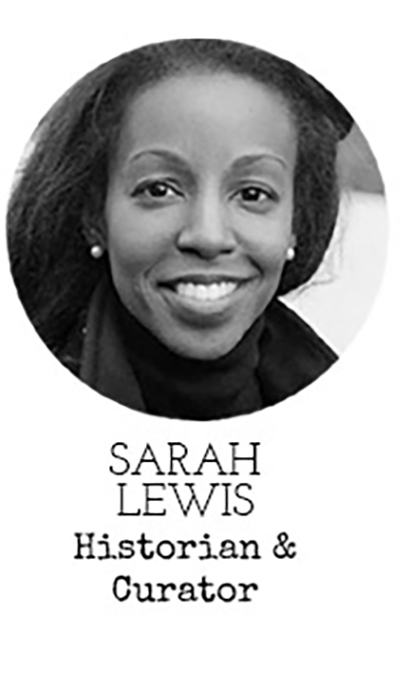 Sarah Lewis will appear at our next Seriously Entertaining show, Summertime Blues, at City Winery NYC on June 15, 2015. You can buy tickets here.